When you’re sick or easily congested, humidifiers should be your go-to bedroom accessory. In this article, we’ll be discussing a plethora of humidifier information, as well as questions, types of humidifiers, and products that you should look into investing. Remember, the difference between a humidifier and a dehumidifier is right in the core of their names – a humidifier inserts “humidity” or moisture into the air, whereas a dehumidifier takes it out. The details of your needs will ultimately decide which one is best for you. Let’s take a look at some more information on humidifiers, though! Does Humidity Affect Allergies and Sinus Problems? Humidity and sinus issues have a direct correlation, but not in the way you think. When a sinus is too dry, they are more susceptible to nosebleeds, cracking, pain, and general congestion issues. Whether it’s hot out or extremely cold and dry, your nose can suffer – the season doesn’t matter; however, there are seasons where you’ll need to take more steps to ensure a comfortable experience. In fact, investing in a humidifier is one of the most important steps, allowing you to insert a particular level of moisture into the air. Respiratory issues – sinusitis, nosebleeds, bronchitis, etc. Cracked nasal membranes, mucus that’s poorly functioning / not doing its job, chronic sinusitis that doesn’t seem to go away, etc. If you happen to live in an area that’s drier than other places, you’ll have to invest in a humidifier, regardless, or else you may suffer from dry skin, poorly functioning nasal passages, and more. If you find that you’ve been suffering from nosebleeds, dry eyes, or dry skin, you’ll most definitely want to look into the forthcoming humidifiers to help replenish that moisture that your body yearns for. How Does Indoor Humidity Affect Allergies? Allergies are crazy as they are – but low humidity in a house, apartment, or another living space can aggravate them even further. Dry hair essential damages the cilia in the nasal passage – a filter that ensures debris and bacteria cannot past. When this area is damaged, then anything can get by, causing irritation to allergies, or worsening the nasal passages in general. The dryness of the air can also be caused by those that have forced-air heating, avid air conditioner users, as well as those with wood burning stoves. Those that suffer from allergies may see even further nasal passage cracking, nosebleeds, dry eyes, and cracking noses as they continue to suffer without a solution. We’ve mentioned dust mites before, and it’s important to note that they tend to die off when the humidity levels are below 50%, but it’s even lower than that for allergens. Unfortunately, allergens do not dry out until the humidity levels hit 30% – so your house will truly have to be suffering (i.e. winter months with no heat), for it to get down to this level. When your air is too dry (under 45-55% humidity), you may begin having allergic dermatitis, susceptibility to the flu or colds, dry skin, sore throats, dry eyes, watery eyes, or chapped lips. If you find yourself suffering more in the winter months, this could be because your home is not prepared for the harsh cold winter weather. To restore some of this moisture, we highly suggest purchasing a humidifier, as it’s one of the only ways you can restore moisture in your home, and not just relieve your nasal cavity issues. There are a number of reports that say the ideal home humidity levels range anywhere from 40% to 55%, especially if your household has someone that suffers from asthma, allergies, or eczema flare-ups. With a humidifier, you’ll be able to make use of a hygrometer, which is also known as a humidifier gauge, so that you’ll be able to see when your humidifier has reached an optimal humidity level – prompting the unit to turn off automatically. There could be a number of reasons that there is low humidity in your house, but one of the more prominent reasons is that you may live in a dry climate. Does your home also use a type of forced air heating or cooling method? If so, this tends to take the moisture out of the air and replace it with a dry heat or cold, causing you to require a humidifier in most months. When there is a lack of humidity during this time, we may have to turn up the heat to get warmer, only to have this add to the problem of low humidity and dryness in the air. For those that have forced air and no humidifier, this is virtually a catch-22 situation. Purify your air with the best temperature (between 65 and 75 degrees) as well as a relative humidity level of 55%. Are some of your household items changing? The shape could become warped or shrunken when presented with low humidity. Do you own a piano and find that it requires tuning almost every time you sit down? You can thank low humidity for that one! Some of these can also occur when there’s too much humidity, as well! If you’re curious to know what the best solution is, there is a set level of humidity that’s perfect for the human body and the environment around. We’ve already discussed this above, so make sure to set your humidifier at that level when you purchase it. 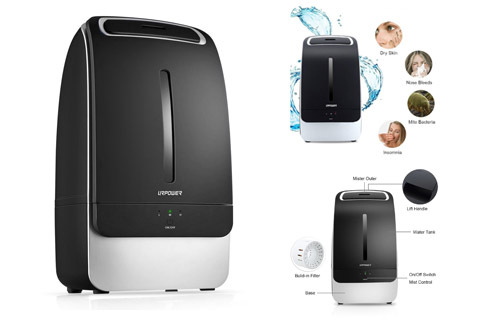 Do Humidifiers Help with Sinus and Allergy Problems? Have you ever been told by your grandma or your parents that you need to turn on the humidifier or purchase one when your nose is too stuffy, or your allergies are acting up? Trust us; it’s not an old wives tale, believe it or not. When you purchase a humidifier, you’re able to restore some of that moisture in the air, which in return, directly affects how your nasal passage reacts. The cilia don’t take any more damage due to the dry air, and you’ll be able to reduce or eliminate nosebleeds entirely. 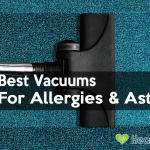 There are some allergies that are heightened because of dust mites, but as we’ve mentioned, they die out once the humidity drops to a percentage, as they thrive when there is a ton of moisture. When you use a humidifier, you’re only welcoming them in, which is why you want to keep your humidity levels at an optimal percentage to avoid dust mites, but ensure that your nose, skin, and body aren’t going to suffer anymore. 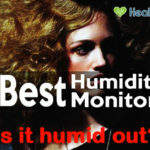 We’ve said previously that the optimal level of humidity that your humidifier should be at lies in between 40% and 55%. 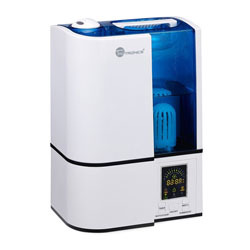 When putting water into your humidifier, you should try and use demineralized water, or water that’s distilled. When you have more mineral in your tap water, the environment you live in becomes susceptible to bacteria growth. You might see more white dust with this or additional irritation. First on our list is a cool mist humidifier from TaoTronics. If you’re looking for something for your bedroom that’s going to make sure you sleep well and moisten up the air in your room, you’ll most definitely want to use this. Whether you have a forced-air bedroom, or you simply live in a cold and dry climate, this is the perfect humidifier for you. With low noise and a simple to read LED display, you can ensure that you see the optimal humidity levels, no matter what your eyesight is like. 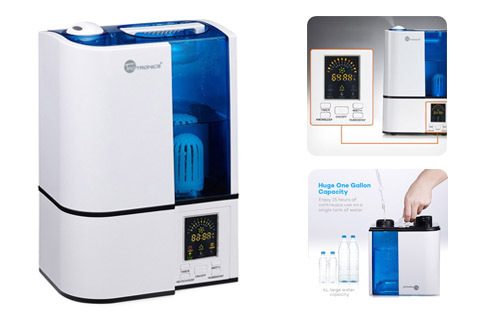 The capacity of this humidifier is 4 liters and has adjustable mist levels for optimal usage. When there’s no more water, there’s an automatic shut off, and a timer for the best experience possible. 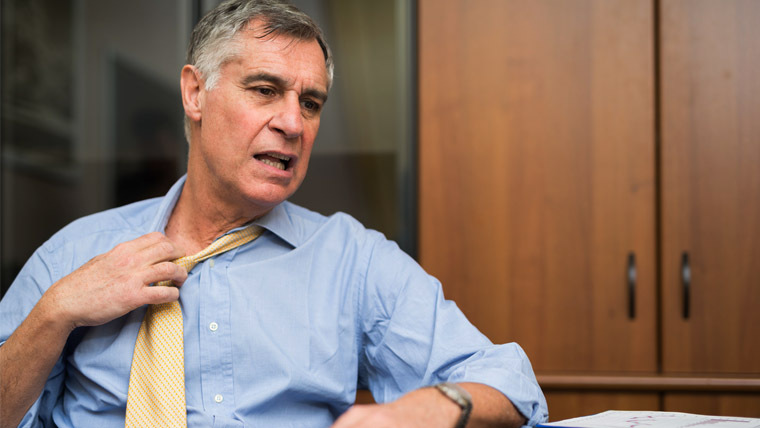 You’ll be able to combat a number of ailments like allergies, wrinkles, mildew, and more. Next on our list is an Amazon’s choice that comes with a large reservoir and variable mist control. If you have a larger room that measures over 499 square feet, then you’ll be able to make use of this 1-gallon reservoir and soft night light options. There’s an automatic shut off for when the water is gone, and a number of cleaning accessories for an inexpensive price. It’s also worth noting that the manufacturer has stated that rooms under 499 feet can use this as well, you just might have to adjust some of the settings first. You don’t want a small room to become too humid, do you? This unit also offers a soft night light for those that need it, and you’ll be able to experience soothing ambiance if you wish. Colors that this night light can use are either green, blue, or red – your choice! 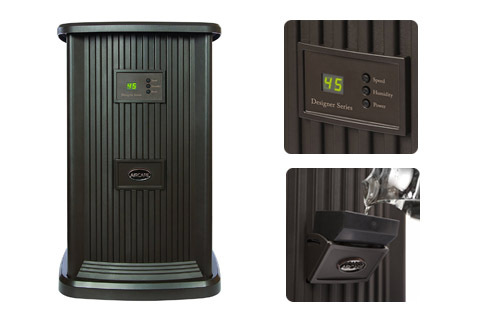 In what appears more like a space heater or safe, this humidifier is aesthetically pleasing, unique, and offers an evaporative humidifying experience. You’re able to use this in houses up to 2,400 square feet, with no issues at all! There are 9 different fan speeds, a readout that ensures you’re seeing the actual humidity level of the home, and more! There is also digital accuracy for your humidity levels included within the programming of this device – no more shoddy humidifiers! Want a sleek unit that’s going to be able to add moisture to most rooms of your home? Get the most out of this extremely accurate humidifier that has a 6-liter reservoir, and is capable of both warm and cool mist. 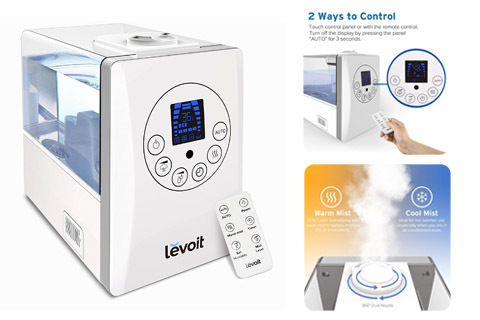 With an auto shut off function for when the water runs out, you’ll be able to have a safe experience and reduce allergies/sinus issues. 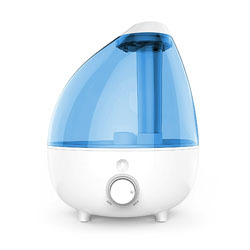 Want something that’s super quiet and is capable of cool mist humidifying? This unit is for you. Featuring an adjustable mist mode, and being perfect for your baby’s room, this Amazon choice is inexpensive and perfect for all types of rooms. There’s a sleep mode, and a safety function in this easy to use the unit. 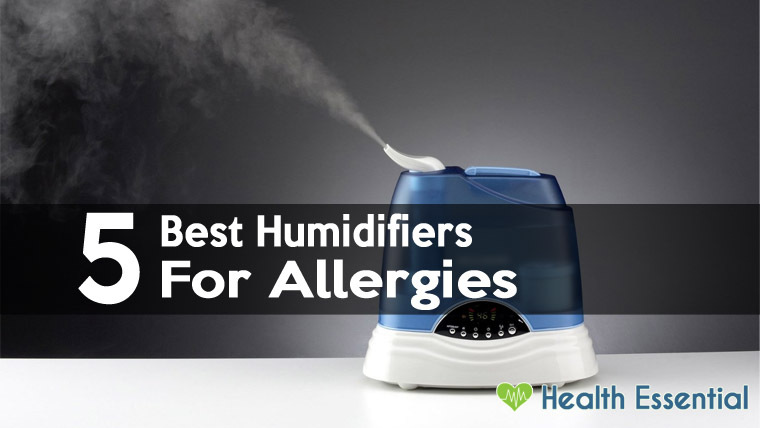 The above list shows you the 5 best humidifiers for allergies and sinus problems. They can emit mist quite well. They also save your time and effort moving and cleaning parts of the machine. If you are looking for a humidifier for a spacious room or a large space, these are the best ones for you. There are a few things to consider before buying the best humidifier, and one of the primary things you should know is what kind to get for your room. There are many sizes of humidifiers, including small, medium, large, and extra-large. You won’t want to get a large humidifier unless the room you’re planning to humidify is over 500 square feet. We aren’t talking about your entire house; we’re talking about the size of one room. Large humidifiers, as we mentioned, are for rooms that are at least 500 square feet, but no more than 999 square feet and extra-large humidifiers are for areas that measure more than 1,000 square feet – most likely a commercial space or a rich person’s mansion! Don’t forget that you should always rinse the humidifier’s reservoir after each use and make sure to dry. Using vinegar once a week to clean out the unit will ensure that any hard water isn’t going to be there during the next usage. A recommended disinfectant from the manufacturer is optimal, and always be sure to clean before using after a long period of not using! Warranties and price are super important to compare from model to model, as some may offer better features for a lower price, and some may have too many features for a simplistic use. Always be sure to get the right type of filters (if any are required) and look to see if there are any that come with your model automatically, or if you have to purchase before using. In general, there are two types of humidifiers – cool mist and warm mist. 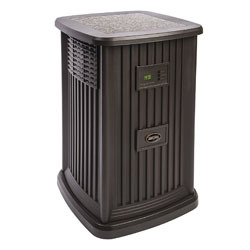 Within these genres, there are sub-categories of humidifiers. With cool mist, you’ll find that there are three different kinds, which include impeller, ultrasonic, and evaporative. With warm mist, there aren’t that many different types. Evaporative – the use of a wet wick with air blowing over it. Ultrasonic – a nebulizer vibrates to emit water into the air, humidifying it. Impeller – A rotating disc is used to propel mist into the air. 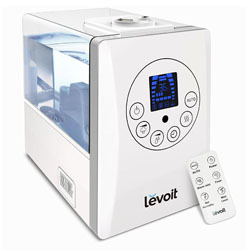 Steam vapor humidifier – the water is heated to a higher temperature and released humidity. 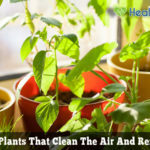 If you’re curious to know what essential oils or vapors that a humidifier is capable of using, you’ll have to watch the specific features, as it usually notes these in the specifications or information about the product. Not every humidifier is great for essential oils, and you must research more about diffusing essential oils before trying your hand – you could actually get hurt from not being careful with essential oils. 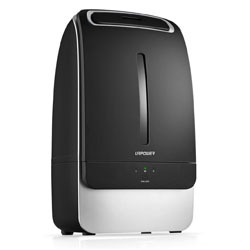 What Kind of Humidifier is Best for Those with Allergies or Sinus Problems? 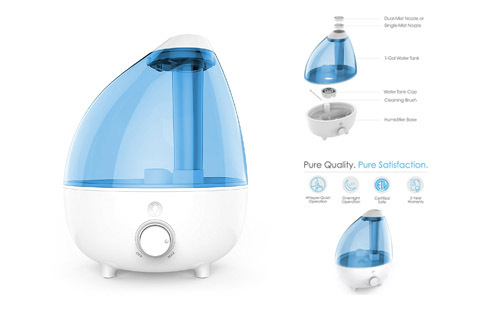 One of the better types of humidifiers for relieving and soothing your allergies and nasal cavities is one that releases warm mist into the air. These are typically better for smaller rooms, and you’ll see the most advantages from one that’s warm mist. 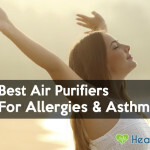 Now that we’ve talked your eyes off about allergies, let’s take a look at some of the best humidifiers on the market for those suffering.